RFI gaskets, also called EMI gaskets, function to preserve the continuity of flow into EMI/RFI shields and generally help reduce RFI (radio frequency interference). Without RFI gaskets, any gaps or slots in an EMI/RFI shield will allow radio frequency or electromagnetic fields to flow through the shield without proper regulation. Conductive Elastomer RFI Gaskets – Sealing Devices Inc.
RFI gaskets serve many industries and general applications, such as aerospace, automotive electronics, computers, data communications, general electronics, medical equipment, military, network equipment and telecommunications. The ideal surface of an RFI gasket is rigid and recessed to completely house the gasket and be as conductive as possible. Gaskets are available in many shapes, sizes and materials. Additionally, many RFI gaskets are available for specific applications, making a buyer’s choices nearly endless. Materials that are used in gasket fabrication include, but are not limited to: knitted mesh (metal wire), FUBA foam, polyurethane foam (coated with an alloy or alloys for conductivity), electrically conductive rubber, beryllium-copper, alloy coated rubber and metalized fabric. Extruded RFI Gasket – Sealing Devices Inc. 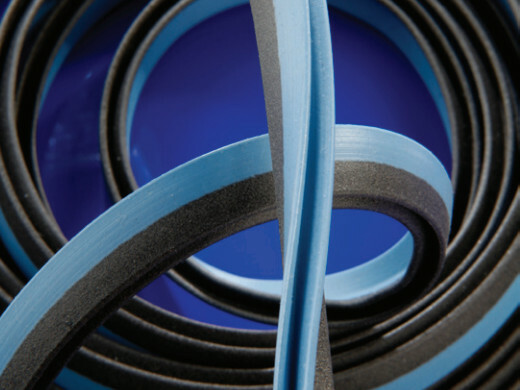 Examples of shapes or forms in which RFI gaskets may manifest include: fingerstrips, miniature shields, standard and irregularly-shaped flexible clip on gaskets, O-profile, frame, V-shaped, P-shaped and U-shaped gaskets and custom gaskets. 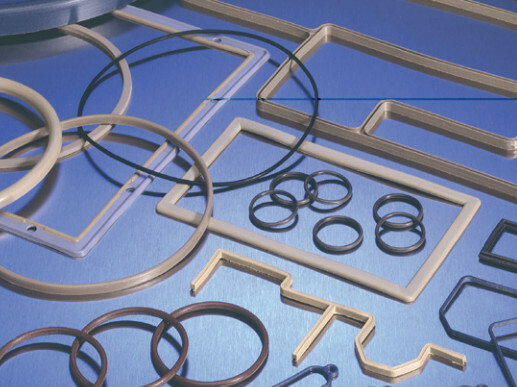 Other gasket types include: oriented wire shield, EMC/IP, die-cut, ultra-soft shield, ultra-soft twin shield, metal clip on gaskets and connector gaskets. To determine the characteristics and materials of your RFI gaskets, consider your application and requirements. Ask yourself: Does my application require a gasket that ensures, in addition to electrical conductivity, a good water seal? Should the gasket I buy be so soft that the lid or door that is closed on it does not become bent or scraped? What is my desired attenuation? Different gasket materials and heat sensitivities offer different attributes, like the following: low-frequency magnetic shielding, extreme condition/environment suitability, wear resistance, corrosion resistance, temperature resistance, easy application and low-closure force. Gaskets can be customized with coatings, such as polymer resin or nickel, for your specific needs. RFI Gaskets A gasket is a mechanical seal that fills the space of two or more mating surfaces, generally to prevent leakage into or out of the joined surfaces while they are under compression.